Equan CHOE studied filmmaking at KAFA (Korean Academy of Film Arts) and San Francisco Art institute. He made his debut with <Yeogogwaedam4 : Moksori, aka Voice> in 2005. Although people told that it is a horror film, Equan still thinks it is a love story between a girl and her ghost friend. After directed 3 more different genre feature films, He has chaired KAFA since 2011. He believes that passion, depth and personality are the keywords for KAFA students to become a wonderful filmmaker. 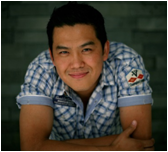 TAN Chui Mui was born on 9 Oct., 1978 in Sungai Ular, a small fishing village in Kuantan, Malaysia. She had been actively involved in the Malaysia independent film scene, working as producer, editor, script writer and occasionally actress. 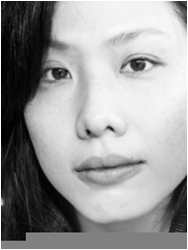 In 2004, she set up Da Huang Pictures with Amir Muhammad, James Lee and Liew Seng Tat.TAN Chui Mui is known for her successful first feature film Love Conquers All (2006), which won top prizes in numerous film festivals, including New Currents in Busan and the Tiger award in Rotterdam. Many forgot that she is a very productive short filmmaker, who had won big prizes in two prestigious short film festivals in the world: Principal Prize in Oberhausen Short Film Festival with A Tree in Tanjung Malim (2005), and Grand Prix in Clermont-Ferrand Short film Festival with Everyday Everyday (2009). In 2008, while developing her second feature film, she had this project of making a short film every month. She had only managed to make 7 short films, and she called them All My Failed Attempts.She had published a book in 2009, titled ? ?梨?, written in Chinese. In 2010, she had made her second feature The Year without a Summer, shot in her home village Kampung Sungai Ular, Kuantan. 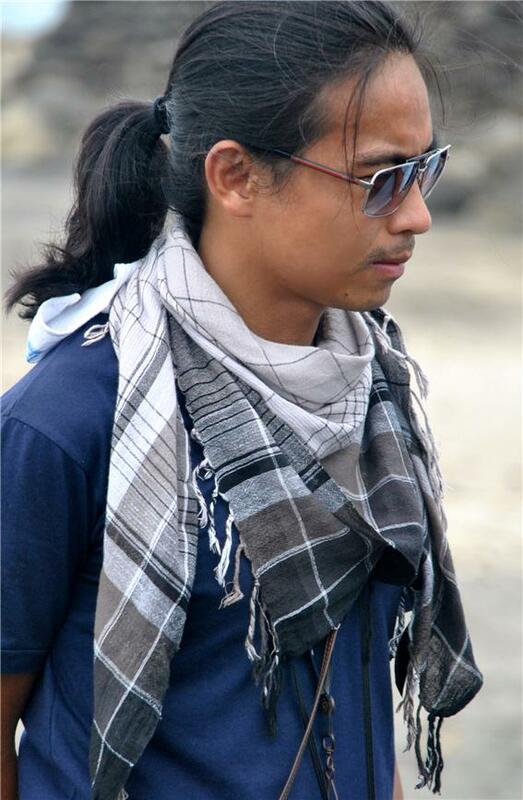 Aung Ko Latt is a prolific director, cinematographer, editor, storyboard artist, and musician. He got his start in the 1970s with his brothers in one of the top rock bands in Myanmar ? The Brothers band. He recorded over 80 original songs that became popular in the country. In 1986, Aung left for Japan in order to learn international approaches to music and film technologies and innovations. He joined the Fuji Film Single 8 Cameraman Society and began to learn about cinematography. In 1995, after becoming fluent in the Japanese language, along with fluency in English, he returned to Myanmar and opened his A/V production company. Since then, he has directed, shot, edited and composed for literally hundreds of television commercials, music videos, documentaries and television dramas. In 1999, he completed an intensive film training program at the NY Film Academy. Aung often travels of Myanmar to upgrade his knowledge on the latest professional camera technology. He became the first director/cameraman to use professional high definition equipment in Myanmar. The film Kayan Beauties is his first feature film for international theatrical release. Carlo Mendoza is a multi-awarded Filipino cinematographer who has photographed more than a dozen feature films since he started his career in 2007, including Jun Robles Lana’s “Bwakaw” (Philippine entry to the 2012 Academy Awards, in competition at the 2012 New York International Film Festival), “Manila Kingpin: Asiong Salonga Story” and “Rosario” (in competition at the 2011 Shanghai International Film Festival). He has received fourteen awards for his works from the Filipino Academy of Movie Arts and Sciences, Metro Manila Film Festival, FAP Awards(Film Academy of the Philippines) and the Young Critics Circle. His other notable works are “Jay”(in competition at the 2008 Venice International Film Festival), “Barber’s Tales” (in competition at the 2013 Tokyo International Film Festival)and “Above the Clouds”(premiered at the 2014 Tokyo International Film Festival). He started his training under Filipino Master Cinematographer Lee Briones in 2005. Then in 2007, he was accepted at the Asian Film Academy(AFA) of the Busan International Film Festival and in 2011, Through AFA, he met Thai director Pen-Ek Ratanaruang and had the privilege of training under Iranian director Mohsen Makhmalbaf. In 2008 and 2012, Mendoza returned to AFA to become one of the assistant cinematography instructors. In December 2014, he will start work on his first international film project with Lao director Xaisongkham Induangchanthy, co-founder of Lao New Wave Cinema. Hyun-Jung SHIM studied music composition at Yonsei University in Korea and got master’s at New York University with scoring for film & multi media. At the beginning of her career, she scored music for the film OLD BOY in 2003 which won the Grand Prize of the Jury at Cannes film festival and SAKWA with Fipresci Award at Toronto film festival in 2005. Also she won the best music award in Korea with OLD BOY (2004) ONCE IN A SUMMER (2007) THE MAN FROM NOWHERE (2010) and TEARS OF THE AMAZON (2010) with TV documentary series. Over 13 feature films she scored or supervised music including EVERYBODY HAS SECRET (2004) I’M IN TROUBLE (2009 Berlin film festival) THE WEREWOLF BOY (2012 Toronto film festival) HOT YOUNG BLOODS (2014). As international collaboration she scored the French, Korean, Vietnamese co-production film KOAN OF SPRING (2013) and Indian production film PUNE-52. Currently she is a member of the committee of Jecheon international music and film festival in Korea. Steve M. Choe holds M.F.A in Film Editing from American Film Institute. In 2005 he started C-47 Post Studio, now a leading post-production company in Korea that is responsible for over 80 feature films. Steve has edited over 40 feature films. He has been nominated as best editor on many film awards. In 2013, he won Korea’s Daejong Award for best editing on “Snowpiercer.” Recently, Steve edited director Im Kwontake’s 102nd film, “Revivre” which has been accepted to Venice Film Festival and Toronto International Film Festival. Sunhee is a producer and writer based in Seoul, South Korea. 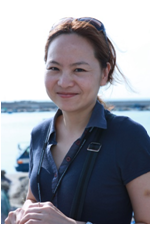 After working as a film journalist and chief editor for local publications, she contributed for Variety magazine as their Korea correspondent for more than four years. Subsequently, she has produced theatrical documentaries including “Talking Architect”(2011) and “Manshin: Ten Thousand Spirits”(2013). 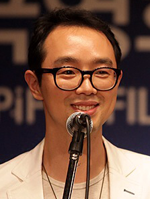 Directed by JEONG Jae-eun, “Talking Architect” was invited to the Busan Int’l Film Festival(2011) and was one of the biggest indie hits in South Korea in 2012. Critically acclaimed docu drama “Manshin: Ten Thousand Spirits” was directed by South Korea’s renowned visual artist PARK Chan-kyong and was selected as the closing film of the New York Asian Film Festival(2014). In the middle of its production, she also produced a TV documentary titled “Shaman of the Sea”(2012) for Discovery Channel Asia-Pacific Networks. Her latest film is “The Basement Satellite”(2013) by debut director KIM Hyoungju, which was invited to the Hot Docs Canadian Int’l Documentary Film Festival and the Moscow Int’l Film Festival among others. While developing both documentary and narrative fiction projects, she is still actively writing stories and editing books and publications. Currently she is also in charge of “Korean Film Technology”(http://www.kft-mag.org) as its chief editor, a quarterly online magazine published by the Korean Film Council. Grace was actively involved in creative content industry in Myanmar from 1971 to 1991, in the making over 200 films at the capacity as an actress. Grace won the national Academy award for her best performance in 1977. 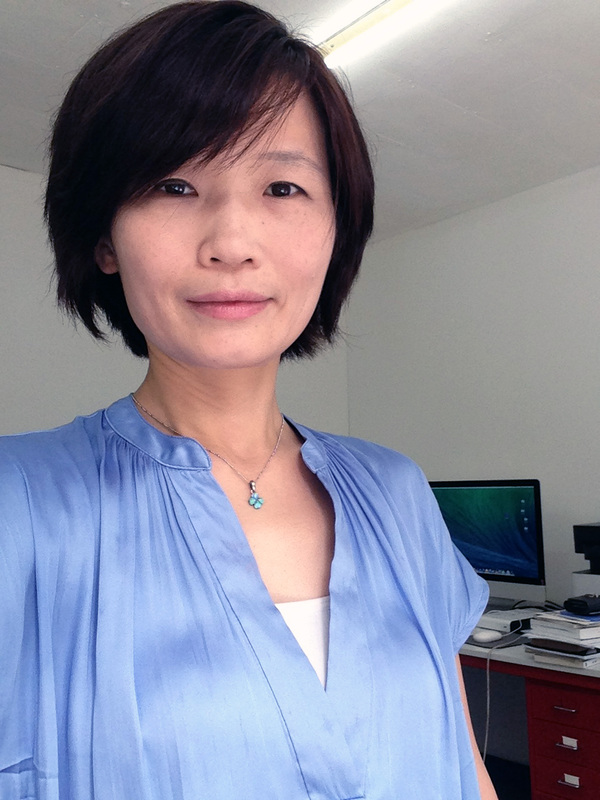 Since early 90s, she worked as a producer and director for over 100 local digital movies. In 2002, she won "Best Visual Effect Award" at the student film festival of "Summer School Workshop" / University of California/ LA. In 2007, she was awarde In 2006, her project was selected to participate in Produire Au Sud workshop of 4 th World Film Festival in Bangkok, Thailand In 2007, she was awarded as "Ambassador for Peace" by Universal Peace Federation in New York. In Sept 2013, she was awarded as an "Outstanding Person" for her lifelong contribution to the film community by Burmese Youth Association in San Francisco. In 2014, she was awarded as "Person of the Year 2014 WIPO Day by EU Myanmar Center & ACE Law Firm for her dedication regards intellectual property issues in Myanmar for 3 decades. 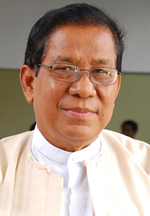 Kyi Soe Tun was born in Padaung village, Shwe Bo Township, upper Myanmar in 1945. Upon completion of high school from Shwe Bo SHS (1), he studied 2 years at Mandalay University and 3 years at Yangon University. In 1977, he joined movie industry as a script writer. The movie "Chan Myaye Pa Say" (Be happy) is his debut, as Director as well as script writer. It was produced in 1980. He got the Best Director and Best movie awards, with the movie "Doe" from Myanmar National Academy Board, Ministry of Information in 1989. He participated in "Focus on ASIA'94 Fukuoka Int'l Film Festival" in 1994, "BOI Fair'95 Film Festival, 25th Int'l Film Festival, Rotterda, "1st South East Asian Biennial Film Festival, Phnom Penh". He made a study tour at Beijing Studio and made post production for his historical movie, "Never Shall We Be Enslave". It's about the last king of Myanmar Dynasty. He got Myanmar Academy Award for Best Director and the Best movie with that movie again in 1997. That movie was screened in Thailand for cultural exchange program as well as in Soul for "ASEAN-ROK Future Oriented Corporation Project 2001 Cultural Leadership Exchange Programme" in order to present Myanma history, tradition and culture. In 2002, he also got Myanmar Academy Award for Best Director and Best movie, with the movie "Up Stream". It's about the value of Theravada Buddhism. In 2003, he directed a Film "True Love" in Japan. The story was based on the traditional value and relation between Myanmar and Japan. He also participated in the series of Festivals such as "The Hundred Flowers and Golden Rooster Film Festival/China, "Bangkok Int'l Film Festival", Gwangyu Int'l Film Festival, " The 50th Asia Pacific Film Festival in Malaysia", 3rd Int'l Film Festival in Bangladesh", Osian's Cine Fan Film Festival of Asia Cinema, New Delhi" and 3rd Eye Asian Film Festival" in Mumbai, India . In 2005, Ministry of Information honored him as "National Award for Art (Grade II). Again in 2007, he got Myanmar National Academy Award for Best Director and Best Script with the movie "Hexagon". He also actively participated in TV Productions for religious documentaries. He also published many books and got Dr. Tin Shwe Literary Award. He is now supporting for Myanmar Movie Industry development, acting as Patron of Myanmar Motion Picture Organization as well as a Principal of Laurel Art Academy. 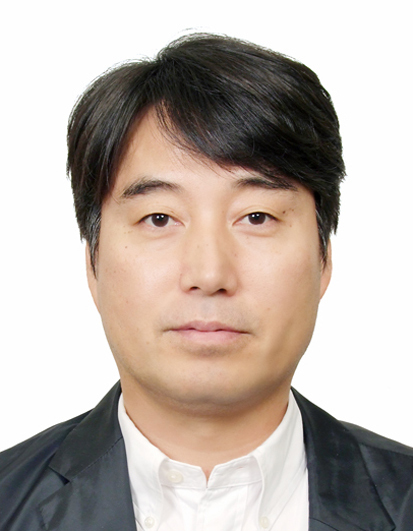 Lee Jinhoon worked on <Memories Of Murder, 2003>, <Untold Scandal, 2003>, and <My Tutor Friend, 2003> as the Head of Marketing Department of the CJ Entertainment, and many more films such as <Speed Scandal, 2008>, <War of the Arrows, 2011>, and <Architecture 101, 2012> as the Head of Investment and Production Department of the Lotte Entertainment. Currently, he is a representative of the East Dream which is an investment and production company, and a board member of the Seoul Film Commission. He also worked as a judge at the Busan International Film Festival-MPA, the Jeonju International Film Festival, the Women's Film Festival in Seoul, and had special lectures at the Seoul International Youth Film Festival, the Chungang University, the Yonsei University, the SungKyunKwan University, the Dankook University, the Sookmyung Women's University, the Korean Academy of Film Arts(KAFA), the Movie workers` Union Skillset, the Producers Guild of Korea, and the Busan Film Commission.